The Overview: None listed on goodreads yet… odd. BN says: After a devastating confrontation, FitzChivalry Farseer is out for blood—and who better to wreak havoc than a highly trained former royal assassin? It should say: these are the best books ever. Read them. … but start with Assassin’s Apprentice or else nothing will make sense. This is currently my most anticipated adult release of 2015. 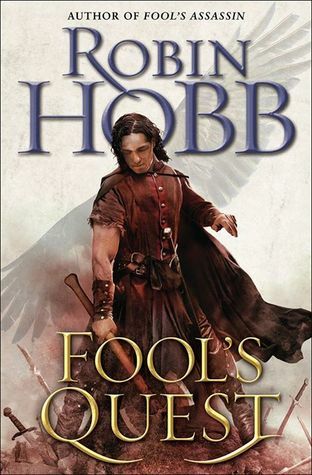 Fool’s Assassin was easily one of the best books I read last year (Not to mention that Robin Hobb is one of my favorite authors EVER!). For some reason, I thought Fitz’s story was over with the conclusion of Fool’s Fate, so I am absolutely delighted that the story continues on. And you know what? It’s getting better and better! It’s one of those epic sagas that gains momentum with each book, and I highly recommend them if you love fantasy as much as I do. It’s going to be agony waiting for August. Seems like I’ve heard of the author, but I haven’t read any of his books. I’ll check them out. Awesome!!! I can’t wait for the 2nd book to come out.! Great Read!